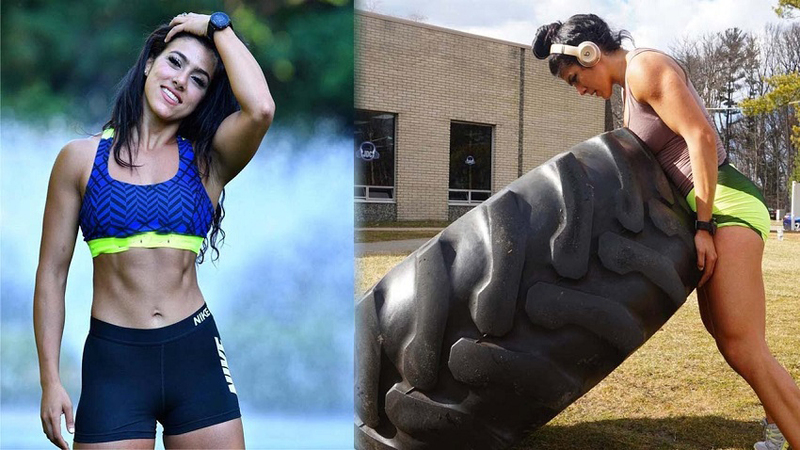 Heba Ali is a fitness influencer and personal coach from New Jersey USA. She’s gained recognition for her hybrid training – combining bodybuilding, powerlifting, and mobility drills to maintain her awesome physique. However, the gym is not the only place Heba trains at. Among her favorite activities are rock climbing, flipping tires, and running through hot deserts. 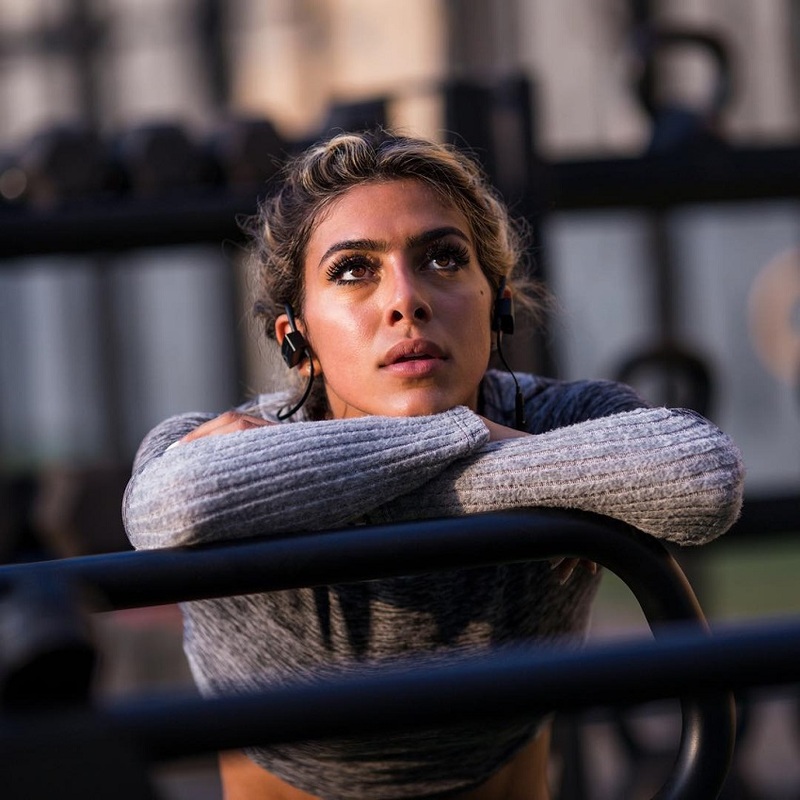 With her unique approach to training, Heba displays a continuous passion for fitness. She’s won the admiration of countless fans, as well as inspiring other women to build strong and healthy physiques of their own. Heba Ali is a fitness athlete from New Jersey, and is of Jordanian descent. She initially discovered fitness after a series of disappointing results in track races. Heba recalls, she’d always finish last in track racing meetings, and this frustrated her. She said; “I was overlooked, I truly felt invisible and worthless.” Heba believes that most people would’ve given up in her place, due to the lack of results and constant disappointment. But Heba didn’t. This, in fact, fueled something within her, driving her to do whatever she can to improve her results in track. It was during this period she discovered weightlifting. Heba started training relentlessly in the gym to improve her speed. Not only that, she also ran up to four miles to practices from her house every day. “I worked three times harder than other athletes,” says Heba. After two seasons of pure commitment, she became the strongest 800-m runner in her school. In the process of improving her results in track, Heba became ‘obsessed’ with training in the gym. What started as a hobby for lifting weights turned into something she longed for more and more. In fact, Heba became so passionate about fitness that she forgot about track running altogether. Fast forward to today, Heba has turned her passion for fitness into a full-time career. She’s come into her own as a fitness icon and hybrid trainer – specializing in both bodybuilding and powerlifting. With her ‘never-give-up’ approach to fitness and life, she’s won the admiration of hundreds of thousands of followers – a number which continues to grow daily. Sprints – Not only do sprints help Heba burn fat like no other type of cardio, but they also work on her quickness, endurance, and stamina. Sprints are also incredibly efficient at preserving Heba’s muscle mass. Power Cleans – This exercise helps Heba improve her coordination, quickness, and foot speed. She believes these attributes are crucial for any athlete, not just bodybuilders. Heba’s diet is flexible. It changes every year as her knowledge of nutrition continues to improve. That said, she has some general dieting rules that she sticks to all the time. For example, Heba tends to eat more calories during the winter, as that’s when she’s ‘bulking.’ She also makes sure to have some source of protein with each meal. As for carbs and fats, Heba eats them in moderate amounts. However, this can change depending on Heba’s fitness goals and how she feels. Heba’s motivation comes from her own success in bodybuilding, as well as transformations of her fans and clients. As Heba said; “My motivation comes from establishing my company and positively impacting thousands of lives. Heba isn’t a huge believer in motivation for training. In her words, “motivation comes and goes.” What keeps her going instead, is discipline. When it comes to doing the hard work, Heba relies on her habits which she’s cultivated over the years. They help her to continually progress further, no matter if she feels motivated or not. Heba Ali has shown us that you don’t need to follow what everyone else is doing in order to be happy and successful. In fact, it’s much more fulfilling to follow your own path and find happiness in it, just like she did. With her example, Heba Ali has shown that girls too can lift heavy and look great. She’s grown a successful career in fitness after building a strong and aesthetic figure. Just do your own thing, and people will appreciate your dedication and hard work.